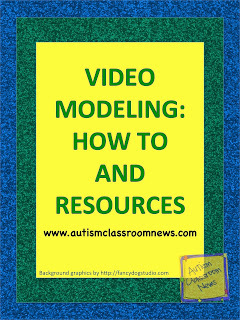 In my last post I talked about video modeling, the evidence base and the types of modeling you can use. In this post, I want to focus more on the tips and tricks of how to use it. So, let’s get to it. I’m going to focus on video self-modeling primarily in this post, but the steps are similar regardless of the type of you are using. First, you need to have the right tools. Video Recorder: Any type of video camera will work for video modeling. These days it’s so easy to video tape with the variety of smart phones and tablets available. Flip cameras have been a popular tool for this as well. Tablets are great because the students love them and you can record and watch the video easily. iPod Touches and smart phones are great because you usually have them with you when you are out and about. Screen: You could use the device you did the recording on or you could use a TV/VCR or some teachers have used an interactive whiteboard (e.g., Promethean board, SMARTboard). You need to consider what you have available as well as how the video will be viewed. For instance, if you are using video prompting, you will want to make sure you have a portable screen available at the site where the skill will be completed. Editing Software: Most likely you will need to edit the video in some way. You may want to have narration. You may want to edit out mistakes or the model you provided in self-modeling. There are many options available out there now for doing this. Most Apple computers come with software like iMovie that is easy to use. You can download iMovie for the iPad as well. There are a number of apps out there for editing on portable devices as well as on the computer. Flip Cameras come with proprietary software for editing the video. Just make sure that when you save the video, you can play it back on the device you want to use. For instance, for Windows computers a .wmv file will work, while you probably won’t be able to watch this on a Mac or iPod or iPad. Most of the software now says how to optimize the software for a specific type of computer, but be aware of this issue if you are editing on a different type of machine from the one you want to use to watch the video and test it before trying to show the learner. Define the Skill: First define the skill you want to teach and make sure you are clear on all the steps. Write out the script if you are making the video specifically for this purpose. Video Tape and Edit: Make sure that you capture successful implementation of the individual using the skill, even if there is other stuff you are going to have to edit out. You can have the student imitate you if you are doing a language or speech skill. You could have them copy you (and edit out your model later). 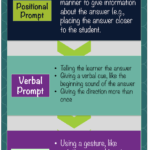 If you are using video prompting, you might physically prompt the individual to get started on each step, and then edit out the prompt. Make sure that the model you are using is a good model. There is no chance to tell the student not to do something that the model just did when you are watching it. Edit it together in one video using your editing software and make sure that it works on the device you want to use it on to show the student. You might use a voice-over to clarify steps or narrate the process. You might want writing at the beginning to identify the skill. Watch the Video With the Learner: Decide where you want to present the video. Do you want to present it in a quieter environment and have him or her practice the skill before embedding it into the natural environment? For instance, do you want to have him play duck, duck, goose with 1 or 2 peers in the classroom while everyone is at recess, watching the video before the game first? Then having him play the game at recess after watching the video just before he leaves the room for recess? Determine how to introduce the video and the skill to the student to enhance learning. This will also both depend on what type of playback device you have access to (e.g., TV is more stationary than an iPad) and give information about what type of playback device you want to use. Allow the learner to watch the video multiple times until he or she is ready to move to the next step of practicing the skill. Let him or her have control over the remote and it’s OK if he wants to just watch the beginning or the end multiple times. This may be the piece that he is having trouble with. Practice the Skill: After watching the video, have the learner practice the skill. Reinforce him at first for watching the video and then reinforce him or her for completing the skill. Have peers, if they are involved, praise him or her as well. 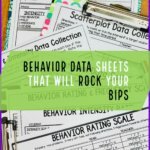 Take Data: Take data on the skill and monitor whether the performance is improving. If it’s not, then change the strategy. 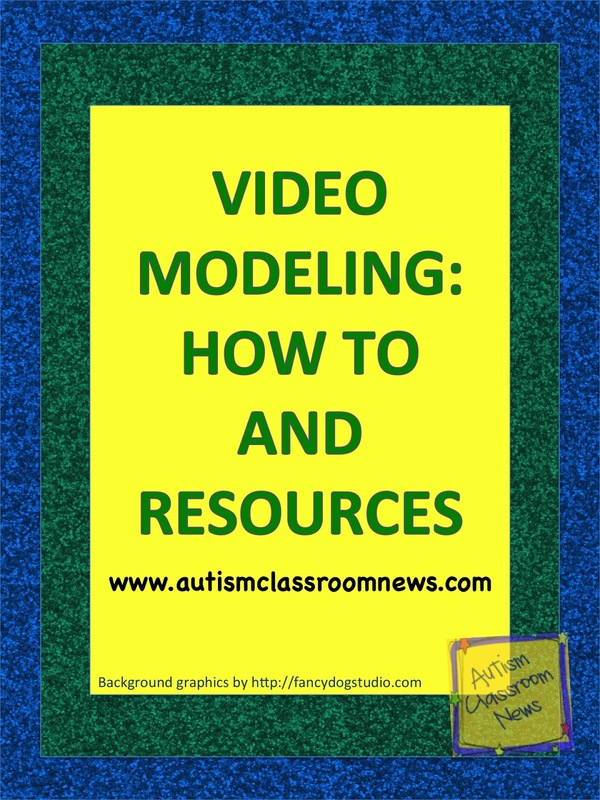 Remember that video modeling, even though it is considered evidence-based, does not work for everyone. It still needs to be evaluated for the individual. So, that gives you some thoughts to start with for video modeling. In the next post I am going to give you some general tips and tricks to think about in creating the videos and using them. Below is a great video on video self-modeling from Dr. Buggey at the Siskin Institute. It is different from the one from the last post and talks a bit about how to do the modeling. If you are planning to use video modeling in your classroom or at home, I highly recommend his book, listed below. It provides great how-to advice in putting together the videos. 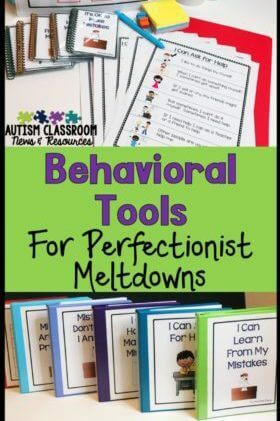 I’ve also listed some resources below that might be helpful. So, have you used video modeling? What kind? Please share any tricks you have in the comments! « Video Modeling: What Is It and Why Use It? I have used video modeling. My students related to it because we used a series called Teach Town which has cartoon characters. 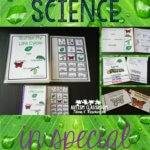 I really like the curriculum and the short videos. I have also made a few videos of myself working with the students to send to parents. Basically a model of what the parents can be doing at home to help their children. Thanks for posting. That's a great idea, Lacey, to use videos to essentially video model for parents! Teach Town is cool. Thanks as always for reading and participating!